The Ministry of Intelligence and Security of Iran had instructed its agents to try to advocate themselves as opposition by writing 80% against the regime and the violation of human rights in Iran, but they have to dedicate 20% to denying the opposition, namely the MEK (Mujahedin-e-Khalq), by spreading rumors discredit them. This seems to be the copy framework agreement with the Iranian regime’s lobby and appeasers with respect to the failed Iran talks in Vienna. Recently, some advocates of Iranian origin who claim to be human rights activists are expressing concerns over the recent resolution of the House of Representatives against the human rights violation in Iran. One of these “human rights activists” has written an article in The Hill today, expressing concerns that “seeking ways to achieve tangible human rights improvements inside Iran is also closely related to the outcome of the nuclear negotiations” and that including “separate issues – such as Iran’s rights record, or its support for terrorism – will make it more difficult to reach a nuclear deal”. 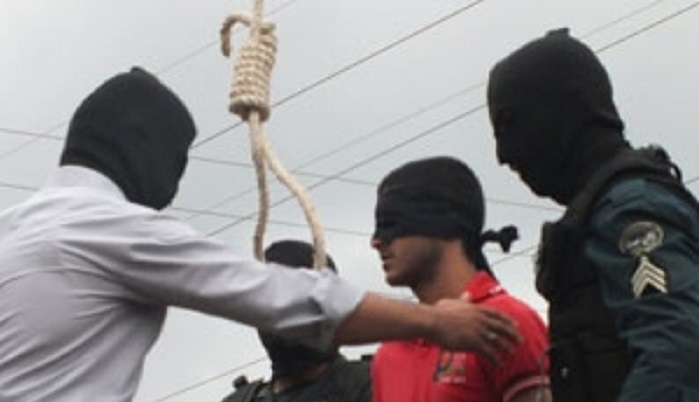 This is while in Iran under the so called “moderate” Rouhani, over 1,100 people have been executed and thousands are on death row. Based on the number of executions that mainly appear on state newspapers in Iran, on average every 8 hours one person is being executed. Women are disgracefully attacked by regime-related thugs, either by acid or being stabbed under the pretext of disobeying the dress code. There is no free access to information, Iran is the biggest prison for journalists and the situation of religious minorities is outrageous, to name a few. Last November, the United Nations General Assembly’s third committee adopted the UN’s 61st resolution condemning human rights abuses in Iran and urged the regime to stop the executions, in such conditions, overlooking the human rights in Iran and ignoring the fact that people and particularly women in Iran are living under despicable conditions is nothing but cruel, shameful and immoral. Asking the US politicians to be softer on the regime with such inhumane records of human rights, is even worse. The truth of the matter is that the Iranian regime has strategically invested in its nuclear program. It is doing everything to get more time to complete the program and will not shift from this unless faced with more pressure and more sanctions. After all it was the sanctions that finally forced the mullahs to go to the negotiation table and accept the Geneva accord, not the appeasement policy that has unfortunately been the dominant policy of the West towards Iran in the past two decades.